Tooth decay is a problem people face worldwide. When the damage is not bad enough for a crown, then a dental filling is your best solution. Dental fillings are significantly less expensive than other tooth decay treatments and are much easier to maintain. That said, many people worry about seeing a dentist for dental fillings. There’s no reason to be nervous about the dental filling procedure. 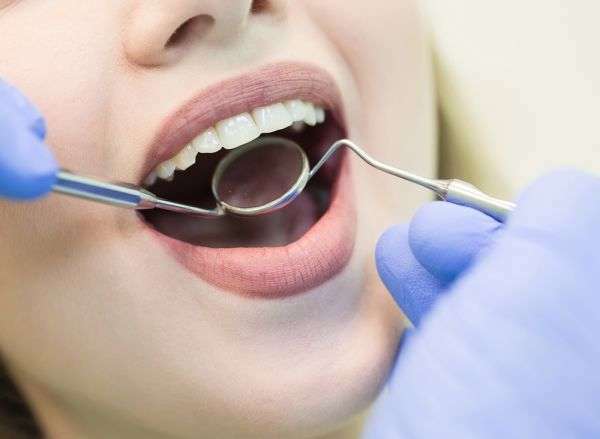 If your dentist recommends filling a cavity, here are four things you should know before going to your appointment. Dental offices can be frightening, especially for children. Many people have heard horror stories of painful dental procedures involving drills and other sharp objects. Fortunately, the process of getting a dental filling does not hurt when your dentist uses a local anesthetic. The initial injection of the anesthetic will come with a light pinch, but the area around the tooth will become numb quickly. People are often sensitive about the appearance of their teeth. Some worry that others will be able to spot their fillings when opening their mouth. While someone might see your dental filling on a rare occasion, they will certainly see if you have a rotten or missing tooth. Fortunately, dentistry has come along way since metal fillings were the only choice. Today, many dentists offer composite or porcelain fillings. These newer fillings match the original tooth almost perfectly in color and texture. It is nearly impossible to spot these fillings during daily conversation. Dental fillings do not last forever, especially those made of composite or porcelain. As the filling endures years of usual use, the bonding agent wears down. As a result, the filling may become damaged or fall out altogether. In some cases, you may have more tooth decay around the filling. This damage requires a newer, larger replacement. Tooth decay around a filling usually occurs when you do not clean your teeth properly. Even with the best care, you may need to return to the dentist’s office for a filling replacement or repair. If a filling is postponed or avoided, the result is an infection of the nerves and blood vessels inside the tooth. Bacteria in the mouth will enter the cavity and start to cause unbearable tooth pain. The only way to treat this is with the root canal therapy. Not only are root canals more invasive than fillings, but they are also considerably more expensive. Generally speaking, getting a dental filling is a painless experience. If you still worry about any discomfort, it is important to speak with your dentist before the procedure. If you have one or more painful teeth, then you may have a cavity. While good oral hygiene will prevent further tooth decay, only a filling can stop a cavity from worsening. « How are Sleep Apnea and Bruxism Related?